Just when everything seems peaceful again for Yuna and her friends, a new enemy appears in the form of three robotic sisters. Yuna must once again become the Savoir of Light to fight this strong, new evil. 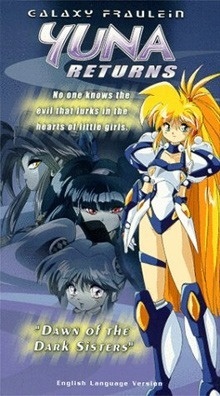 Watch Galaxy Fraulein Yuna Returns Episodes Online at Animegg.org. Galaxy Fraulein Yuna Returns is available in High Definition only through Animegg.org. Choose an episode below and start watching Galaxy Fraulein Yuna Returns in Subbed & Dubbed HD now.